zhus.asia, 我姓朱。: bell rings for new family ahead in late Autumn sunray. bell rings for new family ahead in late Autumn sunray. God breaks me and slow my rhythm for full joy of life.^now is pale morning with frost in air. last night I planned to overnight download a pc game but near 9pm the lan in QRRS Dorms suddenly halted down. for I concentrated in pc gaming, and I also don't have much pals in the dorm to inquiry the cause, so I let it to resume automatically. but it didn't. I woke up near 4am and yet failed to fix it, likely the Internet access rule on the router changed. then I tried to sort recent photos, esp some of warrenzh 朱楚甲's works in last weekends in nearby park of his mom's house. God, u see how I enjoy the downstream from world of democratic, how the rotting PRC killing itself in incompatible and incompetent among new world's unleashed fresh era of collision and rebuild, inc riots in Libya or Chinese western neighbors, years of liberation theology re-track. God, allow my girls see clearer my joys in them, in every moment if our live together. rip them doubts and closer our backyard retreat in time. God, what I promised my girls u granted never changes. Royal of China in 1109 years in future arise dauntless brilliance. God, forever guide my life and faith! my sweet, a tall girl, first time appears in my dream lives me together.^last night peeking eyes pierced the relation between my son and me, the trinity, for quite some time. I had to buzz son second time to talk himself while first call received by his mom and rebuffed by son upon my message of the new half full moon first time in sky since the month. we enjoyed the direct conversation in air. in dawn I dreamed living with my sweet, a tall girl I can't point out either my girl Zhou or my Taiwan girl or my other beloved praying for me, we make a living by collecting rubbish, among some other pals in the same business on a huge wasteland. when we return to market or our habitation, a student sought through our collection and bought one old book. peace in my mind when I live with my tall girl, who first time appears in my living life, in the dream when dealing routine life. then dreamed of baby son, warrenzh, God of Universe, Hope of China, owner of warozhu.com and wozon.net, again full of affirmatives. that reminds me an old game we recently reviewed, "Wall-E", which depicted current human habitation will turn into desert and dump. I got up a bit later, trying to describe the holy message and blog it while the sunshine outside turning warmer and brighter. God, my heart for my girls, with whom we unite in one, never open. pl grant our new family, Royal China, sooner during our prime light. God, even my salary improved to ￥2300 two months ago, with which I quite felt satisfying, still I pray u grant my son, warrenzh, a new dell game desktop in this year end by bonus! God, let down the insane spying around the holy family, and glory forever to U! dreamed visiting my parents' tombs in my hometown.^yesterday full of bliss. Holy message let me review sinister plot by son, warrenzh's mother's family in her kid sister's wedding ceremony. I felt trembling in angry. after a full load of work online&offline, I visited son after withdrew some of my new salary, which, thx God, increased to near ￥2400/month. I bought son some KFC he likes. I had to buzz his mom&waited some time for they just haunting outside. the woman again shown greediness and evil attempts to infringe my financial independence. she event threatened depriving my privilege to visit my son. this dawn I dreamed visiting my hometown, Zhudajiu, central China. 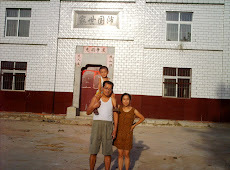 2 village folks, 朱洪全 and 朱中旺, accompanied me and introduced changes in the village. when I saw my parents' tombs, I felt pains in mourning, esp for my mother who informed her elapsing days before her end of life. my grandpa's tomb close to that of my dad, God in Heaven now. in the magic retrospect/glimpse, I know I am among my siblings the best heir that inherit my dad's merits and mindset, also well as his mission&vision on the earth. Its a brilliant sunny morning now. God, u save. dreamed of the Son and righteous of God.^dreamed of the most traditional business of Chinese society, bodyguard. in the beginning, I worked for a Chinese martial coaching club and witness it wax and wade. then dreamed Portuguese took over the business. the boss is mighty and stern, in the end of its doom day, his staff, mostly Chinese, betrayed him and even trying profaning his most beloved kid girl. I saw God's message and demonstration so clear that I felt saved after woke up.
. “图片窗口”主题背景. 由 Blogger 提供支持.